Want to know how to make wedding invitations that will wow your guests, without breaking the bank? Well, you’re in the right place. DIY wedding stationery can be a great way to reduce costs or get your DIY on – BUT given invitations are the first thing your guests see, you’ll really want them to look good! It can be hard to know where to start so this post is here to help. It’s so packed with tips, hints and useful info that it clocks in at over 5,000 words and covers different DIY methods, where to source supplies, how to make wedding invitations look polished and TONS more. Feel free to browse the post as a whole, or use the content links below to navigate to each section. Note: some of the links below are affiliate links. This means that if you click through the link & make a purchase, I may receive a small commission, at no extra cost to you. STEP 2. Is DIY Wedding Stationery the right option for you? You’ll get far more use out of this guide on how to make wedding invitations if you know whether your budget is £50 or £500. If you don’t have a clear idea of how much is set aside for stationery then you’ll definitely overspend. The invitation budget should, of course, be part of the wider wedding budget. Check out this post from A Practical Wedding on how to set a realistic budget. It also includes some sample budgets to give you an idea of what’s possible. STEP 2: HOW TO MAKE WEDDING INVITATIONS: IS DIY THE RIGHT OPTION FOR YOU? So if your wedding budget is tight, you may be keen to go down the DIY route for your invitations. But, it’s worth bearing in mind that DIY invitations can be quite time consuming. Besides, DIY is not always cheaper than buying (although it mostly is!). Do you actually like crafting? There’s definitely a DIY wedding invitation for every skill level. But there’s no point taking on detailed hand-painted stationery if you hate getting crafty. Be realistic about how much DIY you actually want to do for your wedding. If you want to save money you need to figure out if it is actually cheaper to make the invitations yourself. Will you need to buy any specialist tools that you don’t already own that might tip you over budget? Compare the cost of your chosen DIY method (see Step 8 below) vs. just buying the stationery to help you decide. This is a big one. When are you getting married? Do you have enough lead time to make everything? How much time do you have spare every week? The last thing you want is to resent your engagement due to endless crafting sessions. Is your other half on board with Project ‘Make All Our Own Stationery’? Do you have help from friends or family? This could make or break you when you have mountains of fiddly invitations to put together. … Once you’ve answered those questions you’ll know (a) if DIY is still the route you want to go down, and (b) what time you have to commit to the project. Are you still on board to learn how to make wedding invitations yourself? Great! Now it’s time to figure out your wedding theme and how your stationery will fit in. Hint: this is the fun bit where you can let your imagination run riot! I made the mistake of only thinking about our stationery one bit at a time. I created save the dates a year before the big day, with no thought to how the invitations would look later. I also changed the whole theme of the day between making the save the dates and invitations, so it was a bit random. You don’t want to make the same mistake when you make your own wedding invitations, so it’s crucial to have your overall wedding theme finalised before you even start looking at invites. This could be a specific theme like rustic/ modern/ vintage or it could be as simple as knowing which colour palette you’d like to weave into the day. You don’t have to choose a theme that fits with the season, but at least knowing what flowers are in season is useful. Pastel peonies may not be your first choice for a December wedding for instance. That can help guide your choice of colours for the invitations and other details for the day. Are you getting married in a barn covered in hay bales, with ducks waddling by? (That sounds so lovely by the way!) Why not weave that into your stationery? Is there anything you both love as a couple? For some, picking a theme is a no-brainer. Have you got a shared passion for Star Wars? Or My Little Pony? (No judgement here). Then by all means run with that and have create some fun & quirky stationery. Stuck on wedding theme ideas? Check out The Knot’s Wedding Themes resource for a boatload of fabulous imagery and inspiration. Now you have an idea of your wedding theme, you can start gathering ideas for how your invitations will look. In my view, a great place to start is always Pinterest. Why not follow my pretty inspiration boards on Pinterest to help you get started?! Follow All The Pretty Paper’s board DIY Wedding Invitation Ideas on Pinterest. Pin as many examples of stationery that fit your theme as you can find. Have a look at each image and try to figure out what attracts you about it – is it the shape of the card? The font? The graphics? The way it’s styled and all the pretty extra details?Take inspiration from lots of different stationery suites to come up with an idea of how you can create the wedding invitations of your dreams. Before we dive into the different ways that you can create your chosen invitation look, let’s get back to basics for a second. What is included in a wedding invitation suite? 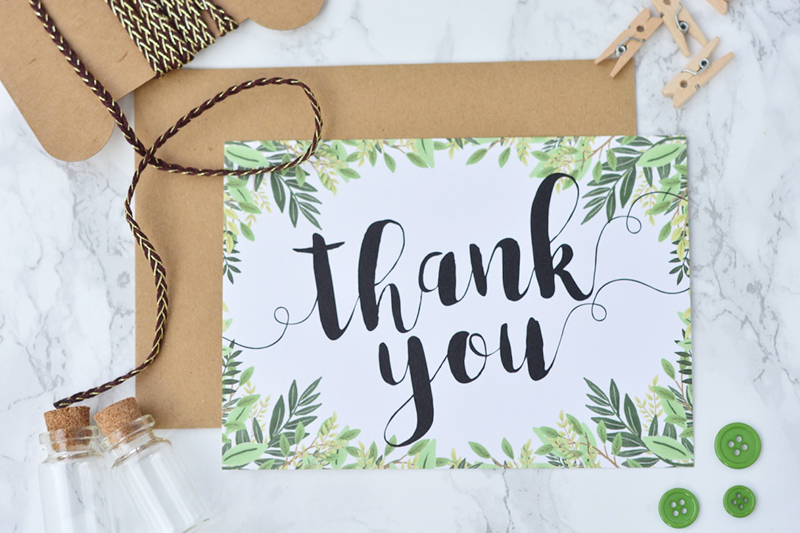 Thank you cards – to be sent out after the wedding. You don’t have to DIY all of the above – feel free to make some and buy others if that suits you better, although it will be more cohesive if there is a common theme across all of your stationery. Note that there are other stationery bits & pieces that you may need for your wedding (order of service, place cards, menus, signage). This post doesn’t directly address these but many of the DIY methods below would totally work for these too. I’ll also be writing more posts on these other wedding stationery items soon, so keep an eye out for that. How to address your wedding invitations? This is another basic thing to keep in mind when considering how to make wedding invitations. There are a TON of articles on wedding invitation etiquette. To be honest this will vary depending on where you live (UK vs. US for example) and how traditional you want to be. Whilst there are some accepted conventions for addressing invitations, to you can be as casual as you like. You may opt to be a bit more formal if you’re going for a traditional invitation look, or more casual if your theme is rustic and homespun. This post on Confetti goes into a whole load of different wording options for those times when your family set up may not be wholly traditional. Wedding Paper Divas have laid out the different options for addressing your envelopes here. Bear with me – we’re getting to the DIY ideas in just a minute. Firstly, using the right materials is crucial when considering how to make wedding invitations. Paper thickness: when you go shopping for card you’ll see ‘gsm’. This stands for ‘grams per square metre’ and the higher the number, the thicker the card. As a rule of thumb, you’ll want card over 250 gsm. 300 gsm card makes particularly sturdy and impressive invitations. But, be aware that card this thick won’t go through most standard home printers. For my American friends, you’ll be looking at paper weight in pounds (lbs). You should be looking at card stock weighing 65-80 lbs depending on your needs. Card sizes: it’s easy to get confused about card sizes. A lot of standard invitations are ‘A6’ or ‘postcard’ sized (also known as 6″ x 4″). RSVP cards are often smaller ‘A7’ cards. Here’s a good resource to see the measurements for each card size you can buy. Other paper: you can print off your invitations onto paper and then affix this to thicker card. Or you may want paper inserts to affix to gatefold invitations. Invest in paper with a luxurious sheen (vs. standard printer paper) for a more professional feel. My favourite sources for card & paper: Razzle Dazzle Rose for trendy kraft paper, Handy Hippo Crafts, Hobbycraft, Amazon and Ebay. You should be able to pick up 50 300gsm card blanks and envelopes for less than £15. Depending on what DIY method you choose, you may not need any tools at all. However, the following are helpful for making wedding invitations – I still use mine for tons of other crafts now! Paper trimmer: if you are cutting paper to size, you can’t beat a trimmer for creating an accurate straight edge. You don’t need to splash out too much – mine cost £10.99 and is still going strong. Double sided tape: I often hear people asking what glue they should use for wedding invitations. My answer is none. Well, not for affixing paper to paper anyway – glue can crease and cause bumps in the paper. The answer is double sided tape – I’m pretty obsessed with this stuff! Best of all, it’s cheap as chips. I use this one. Hot glue gun: whilst gluing paper to paper isn’t the best idea, a hot glue gun is a great way of attaching embellishments such as ribbon or lace to your cards. Again, you don’t have to spend a fortune – I use an £8.95 Stanley model. Envelope moistener: believe me, you do NOT want to lick 100s of envelopes. Shredded tongue anyone? An envelope moistener is the perfect answer. You could try something like this. Check out the fonts that come with your computer – you’d be surprised at what you already have access to. Use Picmonkey to design invitations and take advantage of the free and upgraded fonts you can use. Download a font that takes your fancy – check out 349 fonts that you can nab for free. Buy a more bespoke font to match your theme – try Etsy and Creative Market. Use the best quality paper you can – my printer takes card up to c. 220 gsm. This isn’t particularly sturdy but can still look lovely. Be aware of how printing quality will be affected by the finish of paper. For example – glossy paper may need more ink and matt or textured paper may be more likely to see ink bleed. If you can, buy a sample of the paper you’re hoping to use to check how well your printer will print onto it. Choose ‘photo paper’ as the paper type (even for matt paper). Make sure you choose the highest quality colour option. You can get streaks on the card if the printer rollers are dirty. Look the option in printer settings to clean the rollers. Tip: google the instructions for your printer model if you get stuck! Make sure you choose the right paper size. If there’s no exact size option in your printer settings, you can create a custom size within the settings. Tip: save that custom size so you can reuse it for other stationery of the same size at a later date! You’d be surprised how much ink you’ll go through when printing onto card. You can try to limit the ink cost by choosing designs with a limited amount of text. It’s also wise to steer clear of large colourful graphics. Option 2: Print the invitations off on nice paper, then affix to thicker card using double sided tape. This layered look can look gorgeous – especially for vintage themed invitations. But, you have been warned, it is time consuming. Option 3: Opt for professional printing. Printing costs soon add up if you’re printing a whole invitation suite. In that case, you may be better off opting for professional printing. This isn’t as expensive as you’d think. You could try your local print shop, or look online for a few options to choose from. I’m a huge fan of Printed.com which I used for all my wedding menus, table names, place cards and thank you cards. I was very pleased with the quality and, best of all, it’s really not that expensive. You can get 50 A6 flat card invitations printed, plus envelopes, for less than £17 (excl. postage) at the time of writing. Ok, we’re finally on to the juicy stuff now. Drum roll… it’s time to choose how you’re going to make your own wedding invitations! You might have an idea of what you want to create from the moodboard you created in Pinterest. But it’s also important to decide which DIY method will work best for you based on your budget and the time you have available. I’ve pulled together the six main options for you to consider. Listed in order of ‘difficulty’, I’ve estimated the easiness, cost and time commitment of each to help you weigh it all up. Prices correct as of Autumn 2016. Calling this ‘DIY’ is probably a bit of a stretch! 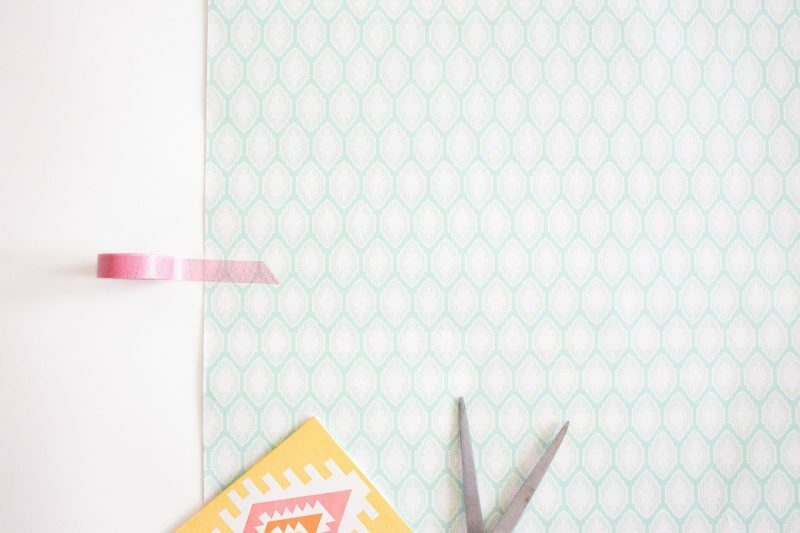 All you need to do is download the template and have the invitations printed off (see Step 7 above). Pros: Wide range of themes available to suit every wedding. Paid for templates come pre-personalised with your details and ready to print off. Cons: It’s not always possible to find a printable template that covers the whole stationery suite. So you may find a save the date you love, but no corresponding invitation template. If you opt for a free template you’ll usually have to add your own details to the invite before printing off. Cost: Many are available for free and paid for templates cost from c. £10 (no matter how many invitations you need to print off). Envelopes & paper/printing will cost extra (see below for full details). Estimate for 50 invitation & RSVPs including envelopes: £53 in total assuming an invitation suite printable template costing £20 and a professional printing service such as Printed.com costing c. £33. Where to find them: Great selection of free printable suites at The Wedding Chicks. Paid for options at Etsy, Download & Print and Love and Lavender. PSST… check out all my free printables too! Again, I’d struggle to call this DIY! This is an option for someone who doesn’t trust their crafting skills. You just assemble invitations (i.e. attach inserts and bellybands) from a pre-printed kit. Pros: You’ll get everything you need in one kit. You can say ‘I made that’ without really breaking much of a sweat! Cons: You may have to print off your own inserts for the cards (see Step 7 above). You also may pay extra to have your details printed on the cards or to add RSVP cards and envelopes. Cost: Most cost around £2.50 per card. Cost increases depending on the ‘extras’ you decide to add. Estimate for 50 invitations and 50 RSVPs including envelopes: assuming a card cost of £2.50 and 75p extra to add RSVPs this would come to £127.50 in total. Where to find them: Confetti, Pure Invitation and Wedding Paper Divas. Personalised stamps are a great option to hand make your own wedding invitations. We used these for our save the date cards & it worked well. Pros: You can stamp onto the card of your choice (using ink in any colour you choose), so you don’t need to print anything off. You can get stamps for save the dates, invitations, RSVPs and thank yous. Cons: It can be a little time consuming and takes practice to stamp without smudging or making it crooked. Cards & envelopes need to be sourced separately. You may not be able to source matching stamps for all aspects of your wedding invitation suite. Cost: The stamps themselves cost from c. £10+. Paper & envelopes will be extra (see Step 6 above). 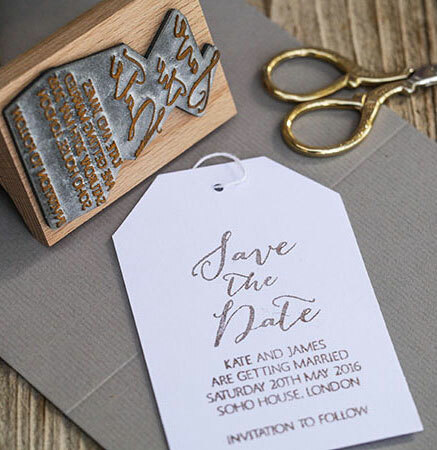 Estimate for 50 stamped invitations and RSVPs including envelopes: Assuming the invitation stamp costs £40, the RSVP stamp costs £18.50, an ink pad costs £10, 50 A6 300gsm cards and envelopes cost £12.50 and 50 A7 300gsm cards and envelopes cost £7.50 then total cost is £88.50. Where to find them: Not On The High Street, Noolibird, Razzle Dazzle Rose and The English Stamp Company. Interested in the printable route but can’t find a design that you like? Why not make your own wedding invitations? You can design them from scratch using cute graphics and fonts that you can often find for free. I designed our wedding invitations, RSVPs, menus, table plan and place cards myself. They’re still my favourite details from our wedding! Pros: You’ll create a personal invitation that nobody else can buy. And you have the satisfaction of knowing that you designed it! Cons: There is a small learning curve to get the hang of using an online program to put your design together. 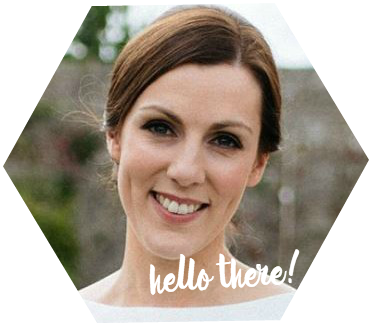 Stay tuned to the blog as I’ll be sharing easy to follow tutorials and videos to help very soon! Cost: This can be a completely free option or you can buy cute graphics (like flowers) from c. £3 and gorgeous calligraphy fonts are available for £10 or less if you can’t find a free font that you like. Envelopes and paper/ printing will cost extra (see Steps 6 & & above). 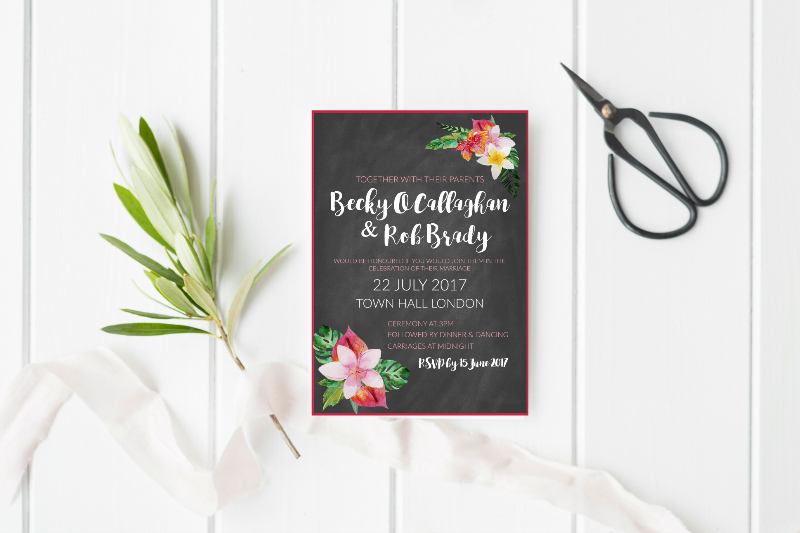 Estimate for 50 invitations and RSVPs including envelopes: Assuming you purchase a floral clip art design for £8, a calligraphy font for c. £11. Together with a professional printing service such as Printed.com which costs c. £33 then overall cost is £52. How to pull it off: I love Picmonkey as an online program to design invitations. You can also try Canva as a program for designing cards. Etsy and Creative Market are my favourite sources of graphics and fonts to suit every theme. This is the most ‘DIY’ of all the options, involving handmaking the invitations from scratch. Pros: There is no limit to what you can produce – just your imagination (and crafting skills!). Cons: It can be time consuming to make every single invitation by hand. 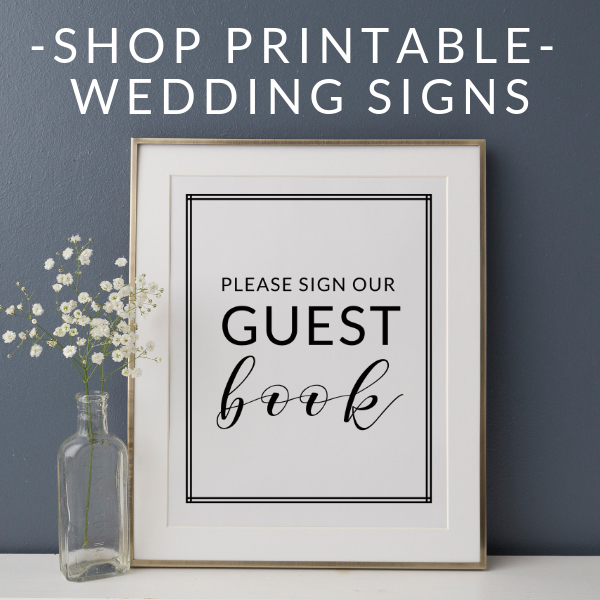 Unless you want to handwrite them all, you’ll also need to figure out the best way to print off the invitations inserts (see Step 7 above). Cost: You can make this as cost effective as you need. You may need to invest in some tools, but if you’ll use them for other projects then that cost makes sense (see Step 6 above). Some tutorials for inspiration: Easy peasy DIY doily invitations, pretty layered stationery idea from Wedding Paper Divas, gorgeous floral wax paper invitations from Oncewed, handwritten calligraphy inspiration from The Postman’s Knock. Laser cut wedding stationery is huge right now. Luckily, it’s possible to create this look yourself using a specialist machine such as a Cricut. Pros: Any invitations you make will look truly professional and you can create some amazing intricate designs. This is a plus for someone who doesn’t want their invites to look too ‘homespun’. Cons: You will need to invest in the machine upfront. Unless you feel you’ll use it again, it is a large investment to make just for your wedding invitations. It could also mean the invitations aren’t any cheaper than buying them if your budget is tight. There will also be a learning curve in getting to grips with the machine. Cost: A Cricut Explore is a large investment at almost £200. Paper, envelopes & design add-ons for the machine will be extra. Estimate for 50 invitations and RSVPs including envelopes: Cricut Explore will cost c. £200 with another c. £25 for add on tools. Also assuming 50 A6 300gsm cards and envelopes cost £12.50 and 50 A7 300gsm cards and envelopes cost £7.50, 50 A6 invitation inserts costing £4 and a printer ink cartridge for £14, total cost would be £263. Some tutorial examples: Die cut save the date by Michelle Edgemont and Colourful die cut cards from Bespoke Bride. Before you dive in, take another look at your inspiration Pinterest board. I bet most of the images you loved are more than just a plain card and envelope, right? Spending a little effort on your envelopes makes your wedding invitations look more professional. Colourful envelopes: Add a splash of colour with envelopes in a complementary colour to your cards. Envelope liners: I’m a huge fan of envelope liners. They’re such an easy way to add wow-factor and can be super cheap too. Try lining your envelopes with doilies cut down to size (just pop in place with double sided tape). Or create a liner from paper printed with your own design. Return address: Stamp your return address on your RSVP envelopes for a polished look. Or opt for pretty return address stickers to avoid having to write it out over and over again. Calligraphy: Try using this ‘cheating calligraphy‘ method from one of my favourite blogs, The Postman’s Knock, to address your envelopes. Use a stencil: Another great trick from The Postman’s Knock is to use a stencil to address your envelopes to keep everything aligned (grab Lindsey’s fab free stencil printable). I did not do this and it looked pretty messy by the time I’d hand addressed 100 envelopes and started to lose the will to live. Cute postage stamps: Opt for postage stamps with a cute design, rather than boring standard ones. Who says you can’t add a bit of fun to your invitations? Try adding colourful confetti or whimsical details to give your guests something to smile about. If you’re not a slave to uniformity you can save a bundle of cash. For our wedding, I lined our envelopes with doilies. When I ran out of the doilies that fitted the envelopes I just cut larger ones down to size. Another example would be to cut any leftover invitation card blanks in half rather than buying smaller cards for RSVPs. As long as they look neat, don’t worry about some invitations looking slightly different. After all, your guests will only see their own card! Try cutting the cost by having a mix of luxurious and cheaper materials. For example, if you splash out on expensive card, opt for cheaper envelopes (but make them a bit more special with a cute but inexpensive liner or calligraphy as outlined above). Always check for any voucher codes when purchasing your materials and tools. You never know how much you can save with a bit of strategic Googling. Cut down on the amount of cards you need to make by sending adorable electronic save the dates from Paperless Post or asking guests to RSVP online. Then all you’d have to make are the invitation cards, which is a big cost saver. For our wedding, postage was more than DOUBLE the cost of actually making our invitations! It’s important to keep postage in mind from the outset. So, be aware that chunky invitation designs will impact the weight of the card and the postage cost. When it comes to buying stamps, it pays to calculate the exact postage. We had guests coming from the UK, Ireland, US and even further afield. I checked the postage cost for each country and bought smaller ‘make up value’ stamps to put exact postage on each card. This saved a lot of money rather than throwing two or three first class stamps on and hoping for the best. I have a confession to make. Whilst I’d made the majority of my invitations, I left quite a few until the last minute. Cue me furiously gluing at 11pm and crying when I cut my finger on a 99p paper trimmer. Lesson learned: pay a little more for tools that will last! This is important. Yes, you’re planning a wedding, but you also need to spend some time as a couple doing non-weddingy things. Plus you need to see your friends and family and generally just have ‘you’ time. This is especially important to consider if you have a lot of other wedding crafting to do. Try to give yourself enough lead time so that you don’t need to spend every weekend and evening crafting. Once you’ve chosen your DIY method, try making a couple of invitations to see how long it takes. You will get a little faster with practice, but you’ll have a general idea of how much time you need to get them all done. If you have willing helpers who you trust to do a neat job then take full advantage! The easiest thing to do is to set up an ‘assembly line’… so have someone work on cutting paper, someone else sticking things down etc. Provide pizza and beer and your friends will (hopefully!) be happy to lend a hand. Phew. That’s a long post! As you can probably tell, I love talking about how to make wedding invitations. It’s one of my favourite things! Hopefully, by now you realise that you can create awesome DIY wedding invitations no matter what your budget or skill level. I’ll be publishing tons of tutorials on how to make wedding invitations, so stay tuned for even more inspiration. Are you making your own wedding invitations? What method are you going to use?